Looking for the perfect location for your Guys’ Weekend or Girls’ Getaway? Eagle Ranch is the place! Contact us at info@eagleranchresort.com, or 1.877.877.3889 for more information. Customized scorecards and result sheets. Loading and unloading assistance, and club cleaning. A course orientation talk, starters and course ambassadors. Cart identification signage (including your company logo). Tournament scoring, prize table set-up and presentation. 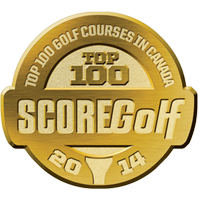 Golf instruction, seminars and clinics.